Judith A. Mayfield Davis was born at Wolf Summit, WV, the only child of Fred and Rosenell Mayfield. She holds degrees from Fairmont State College and West Virginia University. Destined to be a teacher from a young age, she was a teacher’s assistant in first grade to help others with their number and letter builders. She has taught at a reform school for boys, a southern elementary school when integration first began, early intervention Head Start and many years at Flatwoods Elementary from which she retired. Curious about many things Mrs. Davis spent her formative years reading, writing, learning to play the piano, sewing, swimming and other activities too numerous to mention. 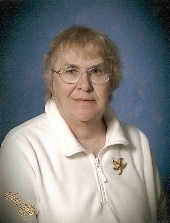 She has earned many awards for her poetry and her work has appeared in the WV Hillbilly; Bereavement, A Magazine of Hope and Healing; Mountain Voices and Mountain Echoes. 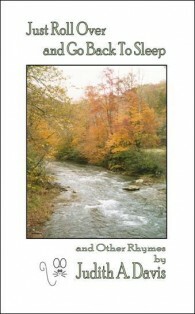 Her poetry anthology, Rhymes & Riddles of a Country Teacher, is available from McClain Printing Company. 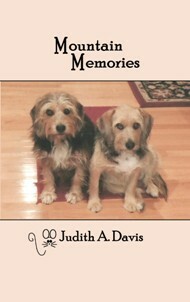 Mountain Memories is a collection of notes taken from the backs of envelopes, napkins, and special greeting cards. Scattered between the pages are tales of the early history of Braxton County sharing a story from the 1700’s and one from the early 1900’s.Many Braxtonians are featured in the pages of this “memory”. Although retired after 30 years of teaching, she continues to speak to school groups, book clubs and other organizations about the fun of writing and sharing our written thoughts with others. Known for her “signature” mouse, Judith A. Davis proffers Just Roll Over and Go Back to Sleep and Other Rhymes – a 49-page country collection of devotional verse both serious and light; both humbling and inspiring. Though chock-full of biblical references to “The Good Word,” this book is not intended to be a substitute for going to church!